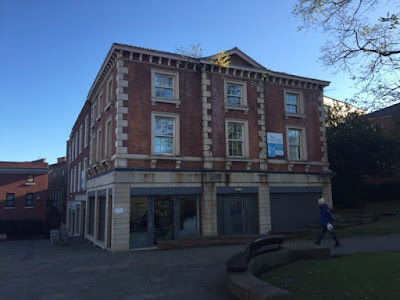 Another prominent Grade II listed building in Rotherham town centre has been put up for sale, offering a redevelopment opportunity between the award-winning High Street and Rotherham Minster. Known by many as the former John Speeds department store, the 11,500 sq ft property is being advertised for sale with chartered surveyors, White & Co. It includes 18 High Street and 15 Vicarage Lane. No asking price has been provided for the freehold of the property which includes retail space with offices above. It is being promoted as having redevelopment potential. It was redeveloped around ten years ago when plans were approved for the ground floor of the former Rumbelows building to be converted and occupied by Phoenix Enterprises who provide delivery of a variety of programmes and initiatives to help disadvantaged groups back into employment. The first and second floors of the building have been used predominantly for office use. Extensive work was carried out on the roof and new lifts were installed to improve access. Smaller properties in the area are also for sale. Rowland Burkitt is promoting the sale of 20, 20A and 20B High Street and also the corner plot at 33 High Street and 8/10 Moorgate. At auction later this month, the vacant office building at 14 Moorgate Street, is set to go under the hammer with Mark Jenkinson & son. The building dates from 1895 and has proposed plans for six apartments. It has been given a guide price of £75,000.